Pulp Capping—Is It Worth the Time and Effort? Relief or Grief? 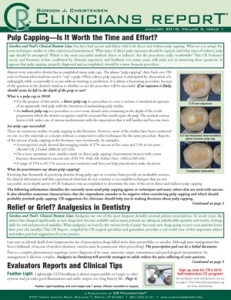 Pulp Capping—Is It Worth the Time and Effort?